Princess Diana plays with a child during a visit to a hostel for abandoned children, many of them HIV-positive or suffering from AIDS, in Sao Paulo, Brazil, April 24, 1991. In doing her charity work for victims of HIV/AIDS, she ignored critics at a time when such patients were shunned by many. This year marks 20 years since the tragic death of Diana, Princess of Wales, on Aug. 31, 1997, in a horrifying road crash in Paris. ABC News looks back on the highlights from the life of the “People’s Princess,” as she is affectionately remembered. <br> <br> The future Princess of Wales was born in the village of Sandringham on July 1, 1961, to John Spencer and Frances Roche. A family photo from 1962 shows her in her baby carriage at Park House, Sandringham, Norfolk. Diana Spencer poses for a photo in Cadogan Place Gardens, London, during the summer of 1968. Diana’s childhood was marred by her parents’ marital discord, which cumulated in a highly publicized divorce in 1969 and her father winning custody of Diana and her siblings. He later remarried. A 14-year-old Diana Spencer is pictured with her pet pony named Scuffle. She became Lady Diana Spencer in 1975 after her father inherited the title of Earl Spencer following the death of his father, the seventh Earl Spencer. Lady Diana Spencer and Camilla Parker Bowles attend an event at Ludlow Racecourse where Prince Charles was competing on Oct. 24, 1980. Diana had met the prince while he was dating her older sister, Sarah Spencer, in 1977. Prince Charles laughs with his fiancee, Lady Diana Spencer, outside Buckingham Palace, after announcing their engagement on Feb. 24, 1981. <br> During a press interview to announce the engagement, Charles, in responding to a question about whether the pair was in love, gave a historically awkward answer saying, “Whatever ‘in love’ means.” Many interrupted this as a sign of lack of passion for his future bride. Diana arrives at St. Paul's Cathedral in London for her wedding on July 29, 1981. The ceremony was attended by 2,500 guests and watched on live TV by nearly a billion people. The Prince and Princess of Wales leave St. Paul's Cathedral after they were wed on July 29, 1981; she was 20, he was 32. <br> The wedding went perfectly expect for a slip of the tongue by Diana as she mixed up the order of Charles’ names, saying, “Philip Charles Arthur George” instead of “Charles Philip Arthur George.” Charles, in turn, omitted the word “worldly” in promising to share his worldly goods with her. The newlyweds return to Buckingham Palace by carriage after their wedding, July 29, 1981. Members of the royal family look on from the balcony at Buckingham Palace as the newlywed couple shares a kiss, something they had not done at the church, driving the crowd of onlookers wild. The couple pose during their honeymoon in Balmoral, Scotland, Aug. 19, 1981. Diana and Charles stand on the steps of St. Mary's Hospital, London, with their newborn son Prince William, June 1982. According to Andrew Morton’s book "Diana: Her True Story," their marriage had become so empty that the princess had begun losing weight due to depression and bulimia. <br> Charles's relationship with Camilla Parker Bowles, a married woman, was also reportedly a strain on the marriage. Morton writes that the princess threw herself down a flight of stairs when she was three months pregnant, in one of a series of five suicide attempts, aimed at gaining her husband’s attention. Princess Diana holds her son Prince William with Charles, Prince Philip, the Duke of Edinburgh, Queen Elizabeth II and Queen Elizabeth, the Queen Mother, at Buckingham Palace after baby’s christening ceremony, Aug. 4, 1982. 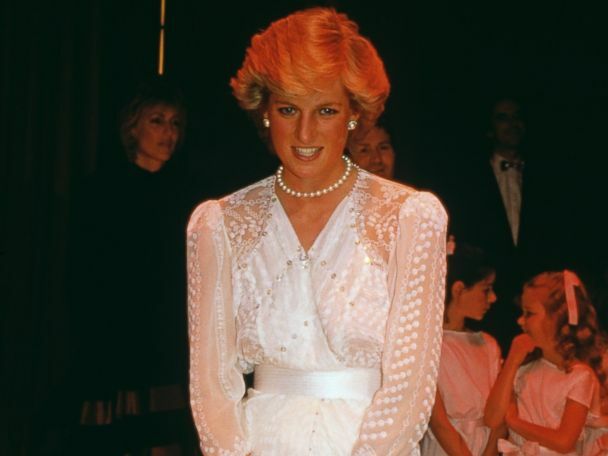 Diana appears downcast while attending a banquet in New Zealand on April 20, 1983. She was reportedly terrified by the constant round of public appearances that her new life imposed on her. The princess and first Lady Nancy Reagan arrive at a drug rehabilitation center in Washington D.C., November 1985. Diana used her public platform to draw attention to a number of humanitarian causes. John Travolta twirls Diana on the dance floor while at a White House banquet, Nov. 9, 1985. The dress would later be sold for $222,500 during a charity auction. Princess Diana meets with King Fahd of Saudi Arabia at a state reception in Riyadh, Nov. 17, 1986. The queen mother appears with Charles and Diana at the derby in Epsom, England, June 4, 1986. Charles, and Diana pose with their sons William and Harry in the wildflower meadow at Highgrove, July 14, 1986, in Tetbury, England. <br> Diana had a modern approach to motherhood that included taking the boys with her on tours of royal duty and often taking them to school. Princess Diana storms away from the pack at the start of a mother's race at Prince William’s school in Surrey, south of London, June 28, 1989. Princess Diana and her sons enjoy a visit to Thorpe Park Amusement Park, April 13, 1993. Prince Charles and his family attend an event commemorating VJ-Day on Aug. 19, 1995, in London. The princess sits for an interview on the BBC program "Panaroma," which aired on Nov. 20, 1995. During the hour-long conversation with reporter Martin Bashir, she spoke candidly about her four-year separation from Charles and admitted to having an adulterous affair with her riding instructor James Hewitt. 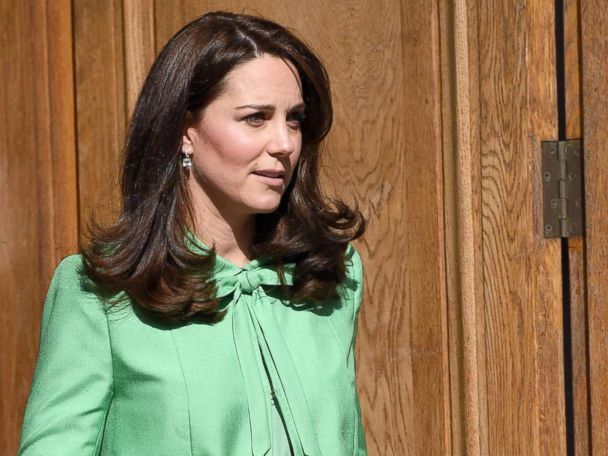 <br> She shared her heartbreak resulting from her husband’s relationship with Camilla Parker Bowles. "There were three of us in this marriage, so it was a bit crowded," Diana famously said. They divorced the following year. Princess Diana speaks to Lord Hindlip, Chairman of Christies International, at a gala party to launch the sale of her dresses, June 23, 1997. The auction raised over $3 million, from 79 cocktail and evening dresses to benefit cancer and AIDS charities. Diana pauses at the bed of a seriously injured patient during a visit to Cook County Hospital, June 5, 1996, in Chicago. Mother Teresa bids farewell to Princess Diana after meeting with her on June 18, 1997 in New York. Diana vacations in the French Riviera resort of St. Tropez in the summer of 1997, shortly before she and boyfriend Dodi Fayed were killed in a car crash. Princess Diana walks the red carpet at the Victor Chang Cardiac Research Institute Dinner Dance at Sydney Entertainment Centre, Sydney, Oct. 31 1996. 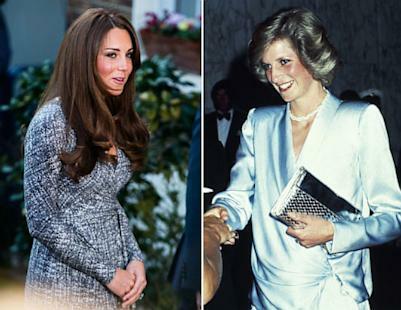 <br> By mid-1996 Diana was linked with more than 100 charities but she reportedly cut ties with most of them in her quest for a more private life in the aftermath of her divorce. Princess Diana crouches down to embrace a pupil at the Shri Swaminarayan Mandir Hindu temple in Neasden, London, June 6, 1997. Princess Diana meets with landmine victims at Neves Bendinha, an ICRC Orthopedic Workshop in Luanda, Angola, Jan. 14, 1997. Diana and her boyfriend Dodi Fayed are accompanied by bodyguard Trevor Rees-Jones and driver Henri Paul on Aug. 31, 1997. French investigators found that the driver lost control of the car as he was speeding through a Paris tunnel in an attempt to outrun paparazzi photographers. The vehicle slammed into a concrete pillar, killing the driver and Fayed at the scene. The princess was rushed to a hospital where she later died. Emergency crews work on the wreckage of Princess Diana's car in the Alma tunnel in Paris. Only bodyguard Trevor Rees-Jones, survived the crash. <br> Diana’s death was shrouded in controversy as conspiracy theories were raised about what happened that night. After six months of hearings and testimony, a British inquest found that the crash was caused by the intoxication of the car's driver, Henri Paul, and excessive speed. Princess Diana's casket is carried out of Westminster Abbey after her funeral in London, Sept. 6, 1997. According to the BBC, an estimated 2.5 billion people around the world watched Diana's funeral on TV. Prince Charles and his sons, Princes William and Harry, look at floral tributes left at Kensington Palace following the death of Princess Diana, on Aug. 31, 1997. The queen came under pressure for remaining silent for several days following Diana’s death, before finally addressing the nation in a televised speech. Diana’s casket is carried into Westminster Abbey during her funeral in London, Sept. 6, 1997. She was buried in a private grave at Oval Lake on the grounds of her family home, Althorp House in Northamptonshire. Princess Diana left an indelible mark and the world’s fascination with her hasn’t changed in the 20 years since her death. 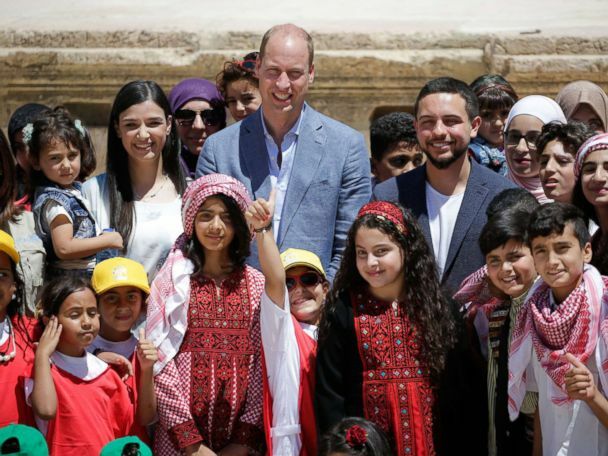 As a royal, and the mother to a future King, she was held in high regard in society, yet it is in breaking with the usual stiffness associated with royalty that she was most impactful. She exuded a commonness that the public could connect with, endearing her not only to the people she touched through her humanitarian work, but drawing an enormous following across the world. She is remembered as the “people’s princess.” <br><br> Princess Diana poses in Bonn, Germany. Princess Diana is seen seven-months pregnant in April 1984. Catherine, Duchess of Cambridge is three-months pregnant in this Jan. 11, 2013 photo.